Weird!..When I have a huge 15 year Mango Tree,laden with fresh green mangoes,right in my very own front yard,I almost 'squeezed' my brains out, thinking of an Indian vegetable which begins with the letter M.
So this is my contribution to Nupur's,A-Z Vegetables,for the Majestic and Mighty letter,M. M is for Manga,Mangai or Mango.It is the peak season for Mangoes in South India,as the summer days are getting longer and hotter!. So folks, here's a simple 'n' cool Kerala recipe of Mango Pachadi or Salad, to beat the heat. Serves-4 ; Cooking time-15 minutes. 1/2 cup freshly grated green mango-the mango should have more of sweetness in it and lightly sour. 1/4 cup finely minced shallots or big onions. 1/2 tsp minced green chillies. 3/4 cup fresh,thick and creamy coconut milk,extracted from 3 cups of grated coconuts. 1 tbsp coconut oil-to temper. A pinch of fenugreek seeds/uluva/venthaiyam. A single red chilly-broken to 2 pieces. 2 pinches of sugar-to regulate the taste. 1/2 tsp of mustards,coarsely crushed. 1. Combine the grated mango,shallots,green chillies and ginger.Add the coconut milk. 2. Heat oil and temper with mustards,urad dal,fenugreek seeds,curry leaves and redchilly respectively.Add to the above mixture when cooled.Add the crushed mustards,(I had used them as a topping) salt and sugar.Mix well. 3. Serves well with Hot Lunch. The 15 year old mango tree in my front yard. 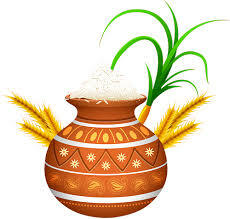 P.S-Grated carrots can also be added to make the Mango-Carrot Pachadi. Please note that this dish contains coconut milk and not yoghurt as in the other pachadis. 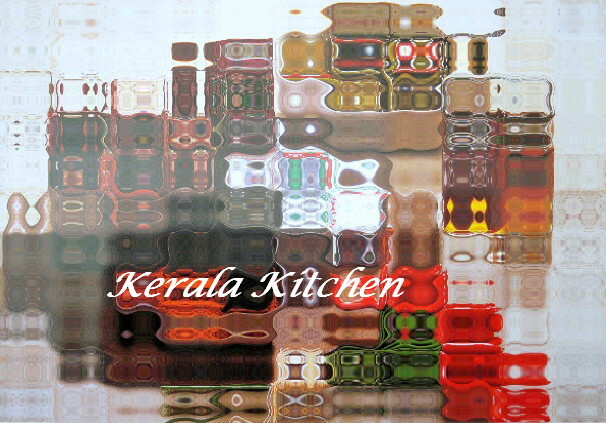 Recipe Source-Nadan Pachakarama by Mrs.K.M Mathew. WOW !! Cant take my eyes off that mango tree!!! wow! can u bring some of those mangoes to paris when we meet? New to ur blog... came here after seeing ur comment in malabar spices. Manga pachadi looks good.Thankd for sharing. wow look at the tree weighed down under the weight of those gorgeous fruits! What beautiful pictures! The majestic mango indeed...what a great entry for the "M" event! I love this unusual pachadi with coconut. Hey , sounds delicious.. have a mango in my fridge and will make it tomorrow... the mango tree reminds me of the many mango trees and banganepalli mago back home.. Miss them a lot, bharathi..
Bharathy, That Mango tree is awesome. You are so lucky!! Love your pachadi and presentation. 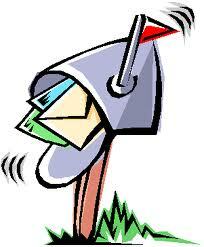 Thanx a lot for all the encouraging words,Asha,Meera,Richa,Nupur and Reena. 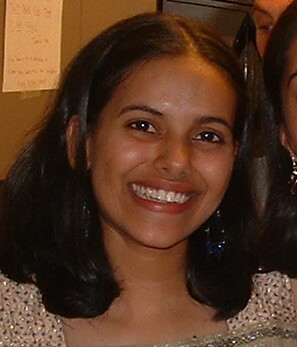 Welcome to my blog,Mishmash,Prema,Nupur and Priya. Hi Bharathy, I love that mango tree, it's full of mangoes ready to be picked :) the mango pachadi looks delicious. 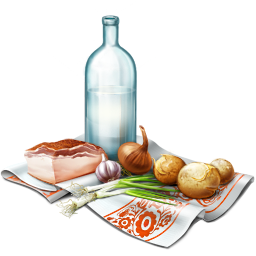 You have a great collection of recipes! 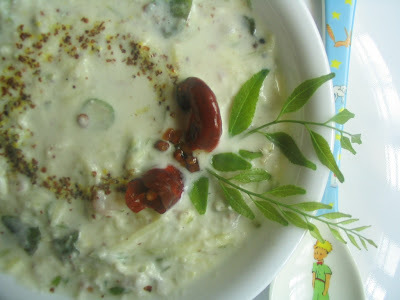 good recipe bharathy...its a nice variation to the same old pachadis with yogurt.sure give it a try. Warm warm welcome to you,Jasmine and mandira....Thanks a lot for your encouraging words.. Yes maneka it is...try to use sweetish variety mangoes,when you make the dish. 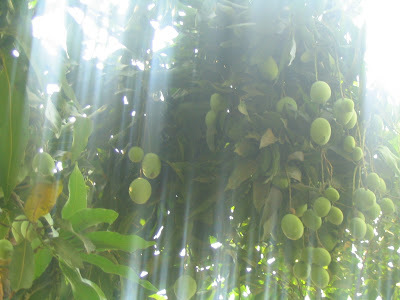 What a beautiful blog you have..I love mango pachadi..see you with more recipes..
what a beautiful picture of the tree. thanks for this unusual recipe. Aah :o How many mangoes? Bharathy, You are making me jealous :) .. Is there a mail ID where I can mail you?